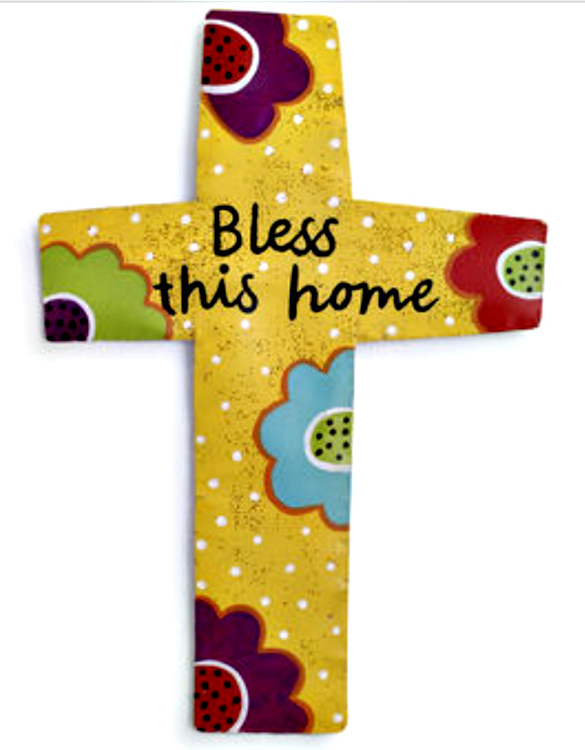 Bless This Home Cross Door Hanger from Silvestri Screenings by Artist Peri Woltjer of DEMDACO. Made of Screen. Measures 22"W x 31"H.